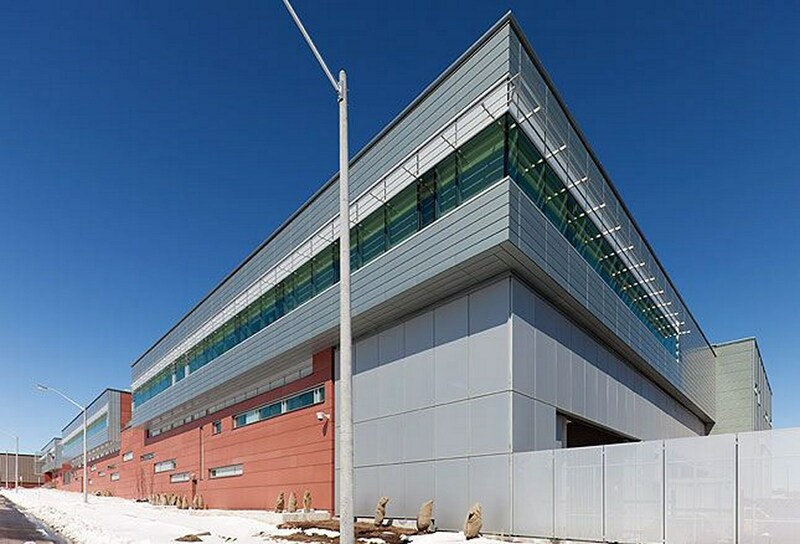 The CANMET Material Technology Laboratory, which is striving for LEED Platinumcertification, was designed by Diamond and Schmitt Architects for Natural Resources Canada, a federal agency.This 15,400-square meter (165,000-square foot) facility will host metallurgical research in an environment filled with natural light, fresh air ventilation, planting gardens and a multitude of renewable and passive schemes, all of which serve to diminish energy consumption by 70 percent. Approximately three-quarters of the three-storey facility include lab configurations with floor to ceiling heights of four to twelve meters with bridge cranes capable of lifting up to ten tons. Some activities that take place in these labs include casting, metal forming, welding, and analytical testing. 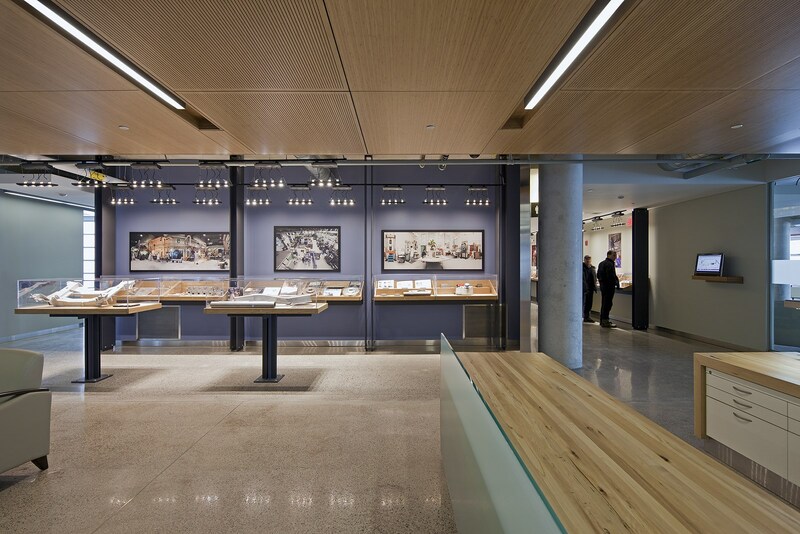 Office and support space engage the rest of the building, which features an accommodating work atmosphere for CANMET personnel. Enlightening office space, well-configured labs with outside views improve the workplace. A light infused atrium with an elliptical stairway connects all three floors that encompass lounges and terraces to provide welcoming spaces for interaction. 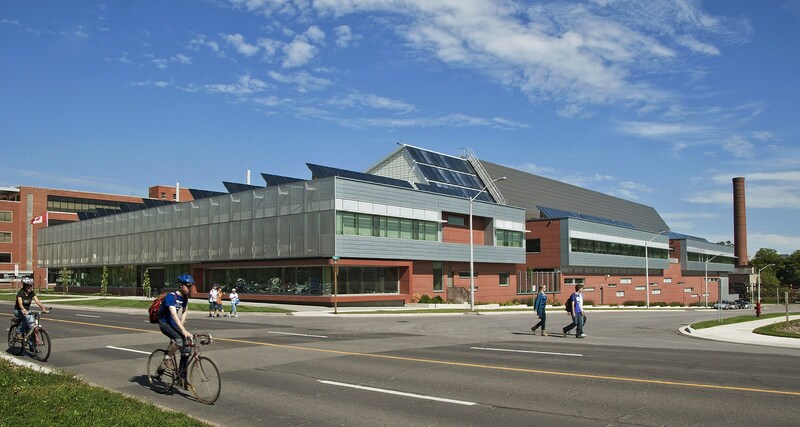 Renewable energy sources at CANMET include 209 rooftop solar thermal collectors that provide radiant heating and the building’s entire annual domestic water heating requirements, with on site storage in solar cisterns for unused solar heat. An 80-hole borehole thermal energy field complements the renewable thermal energy sourcing while a 6000-square-foot solar wall preheats incoming air to further reduce reliance on conventional heating systems. Further energy savings are augmented with a high performance thermal building envelope and triple glazing. 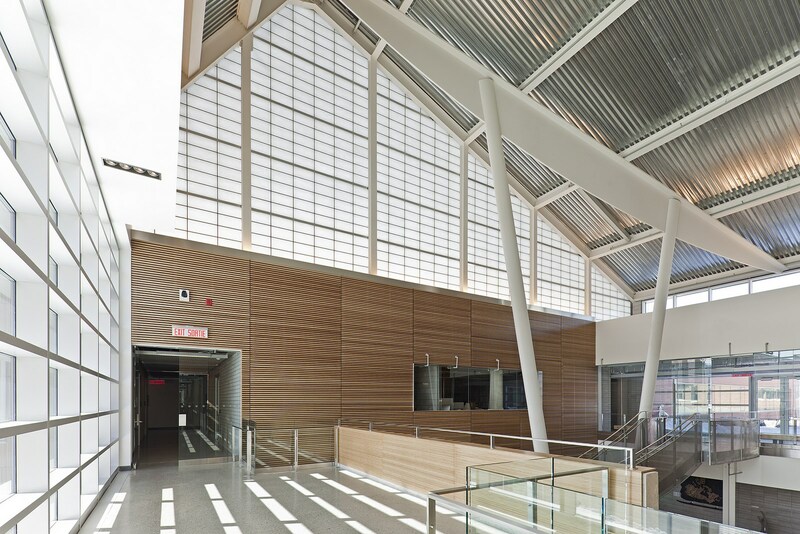 Solar shades reduce heat gain and glare, while specialty glazing directs light deep into the space paired with daylight and occupancy sensors to reduce energy consumption for lighting. The building systems are fully automated and the data will be available to provide real time feedback on performance. Rainwater from the expansive roof is collected and stored in underground cisterns to serve the building’s water needs and irrigation. Overall water use will be reduced by 87 percent. Next Algonquin Centre for Construction Excellence ACCE | Diamond Schmitt Architects & Edward J. Cuhaci And Associates Architects Inc.